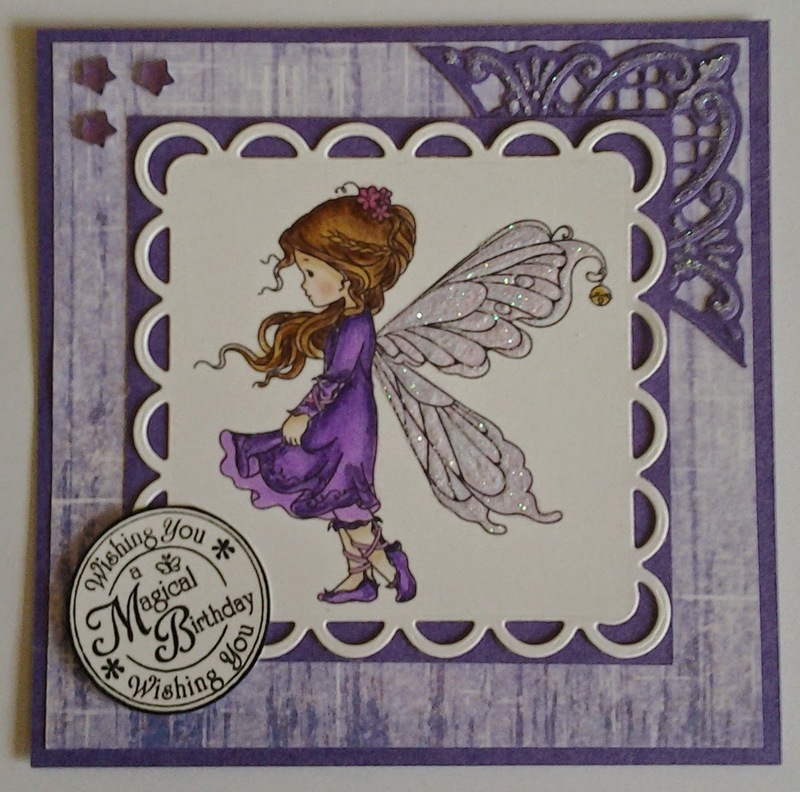 The Silver fairy from Wee Stamps, I coloured her with Copic pens and Spectrum Noir pencils. Her wings are glittered with Glamour dust. I cut the stamped image with the Spellbinders Lacy squares and the corner was cut with a Marianne die and also glittered with Glamour dust. The backing paper is from one of the Crafters Companion CD's but I cannot remember which one. The sentiment stamp is from Lili of the Valley. I am going to enter this card into the following challenges.